The Australian Museum is committed to raising awareness of climate change and its impacts. In the decade since the statement was released, the impacts of climate change have grown significantly. Over the next three years the AM will commit to developing a leadership role supporting climate action. It will accelerate its programme for sharing with the public the important science and facts around climate change and its impacts on the community. It will ensure that the work of AM researchers, educators, communicators and exhibition content developers will share deeper understandings of climate change so as to foster public engagement in the issues. Moreover, the AM also has a corporate commitment to working toward sustainable practices within the Museum’s operations and infrastructure. The AM’s collections span both the natural and human worlds, with 21 million items representing the combined natural and cultural environments of not only Australia but also the Pacific and all parts of the globe. The Museum is ideally placed to demonstrate climate change impacts on biota and people through exhibitions, education programs, outreach in the wider community, and online resources. Through the AM’s ongoing, collaborative research program with Pacific communities in Sydney and across the region we have developed a leadership role in understanding the cultural impacts of climate change. We are committed to providing a platform for Pacific voices to be heard, and enable others to learn from these communities who are already on the ‘front line’. The AM is also working to raise awareness of the cultural causes of climate change – that our current relationship to the environment, and approaches to consumption, need to be addressed to enable an effective response to the climate crisis. Through their collections and deep time knowledge, museums around the world are uniquely placed to empower public engagement. The AM is taking an active leadership position with other global leaders, placing community and the public at the centre of these discussions. The AM is committed to developing impactful initiatives, supporting the upscaling of education and engaging the public in the way that intergovernmental, professional and aid organisations are seeking. The AM’s science plays an integral role in understanding, and potentially mitigating, the impacts of climate change on biological systems. 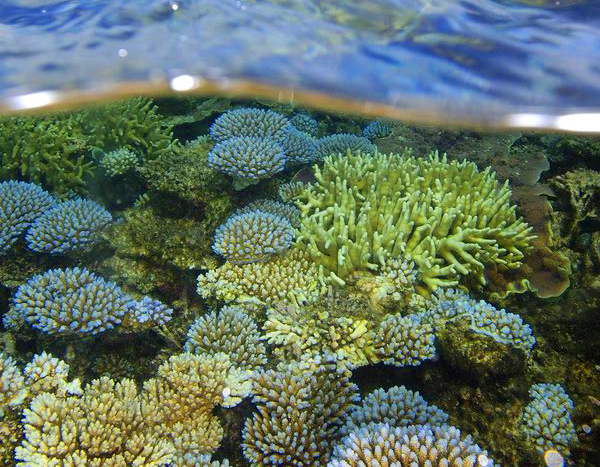 Scientists at the Australian Museum are undertaking research that highlights the impact of climate change on species distributions and biodiversity, coral reef health (at the Lizard Island Research Station) and on coastal peoples. FrogID is a national citizen science project, helping us learn what is happening to Australia’s frogs in a rapidly changing system. Museums are among the most trusted institutions globally. As scientists, educators and communicators, we take this responsibility seriously, especially to ensure the information we communicate is accurate, up to date and understandable for all audiences. The Australian Museum’s priority is to engage with the public to understand the often complex issues, to gain confidence in joining the conversation, and to take positive action. Climate change presents an enormous challenge to the survival of our species. The Australian Museum is working to help people to understand the scope of the challenge and ways of responding effectively through our exhibitions, education programs and public engagement. Through a range of activities, the AM will deliver on its commitments to expand our education programs, exhibitions, and outreach on climate change, as well as researching impacts on species and human communities, and reducing our carbon footprint.